Here's a unique event: The Oregon Museum of Science and Industry Planetarium, 1945 S.E. Water Ave., is partnering with the band Mimicking Birds to host a special listening experience of their new album, "Layers of Us," 7 p.m. Thursday, Jan. 25. The album will be played through OMSI's surround sound system paired with Planetarium visuals. Tickets are available at www.eventbrite.com. For more, see the event page on Facebook or www.omsi.edu. The album is to be released on Jan. 26. • Kayla Brianna is making a name for herself in music, outside of the influences of her famous relatives. Her grandfather, Gerry Goffin, wrote "Locomotion," "Natural Woman" and "Saving All My Love For You." Her grandmother, Earl-Jean Reavis, sang backup for Ray Charles. And her father is former NBA player and current analyst Kenny "The Jet" Smith. She released her debut, self-titled LP in 2016. She performs at the Mission Theater, 8 p.m. Thursday, Jan. 25, along with Devon Terrell. Tickets: $15, $20 day of show, www.mcmenamins.com. • Indie pop band Passion Pit plays the Roseland Theater, 8 N.W. Sixth Ave., 8 p.m. Thursday, Jan. 25. Tickets: www.roselandtheater.com. • Howard Jones appears at the Aladdin Theater, 3017 S.E. Milwaukie Ave., 8 p.m. Thursday, Jan. 25, performs his hits solo, with piano only. Tickets: $30, www.aladdin-theater.com. • The Winter Festival of Chamber Music Northwest takes place Friday-Saturday, Jan. 26-27, at Reed College and Sunday-Monday, Jan. 28-29, at Portland State University. For more: www.cmnw.org. • Queens of the Stone Age and their riff-heavy hard rock come to Portland on their "Villains" world tour, playing Veterans Memorial Coliseum, 8 p.m. Friday, Jan. 26. Tickets: starting at $39, parking $17, www.rosequarter.com. • The Doug Fir Lounge, 830 E. Burnside St., has three cool upcoming shows: Magic Giant, Thursday, Jan. 25; Wallows, Friday, Jan. 26; Banditos, Sunday, Jan. 28. For more: www.dougfirlounge.com. • Karl Denson's Tiny Universe plays Revolution Hall, 1300 S.E. Stark St., 9 p.m. Saturday, Jan. 27. Tickets: $25, www.revolutionhall.com. • The Oregon Symhpony, conducted by David Danzmayr, welcomes violinist Benjamin Beilman on playing Brahm's famous "Symphony No. 1" and other pieces, 7:30 p.m. Saturday-Monday, Jan. 27-29, at the Arlene Schnitzer Concert Hall, 1037 S.W. Broadway. Tickets: starting at $24, www.orsymphony.org. • Tyler, the Creator, touring in support of album "Flower Boy," performs at Veterans Memorial Coliseum, 6:30 p.m. Saturday, Jan. 27. Tickets: starting at $32, parking $13, www.rosequarter.com. • One of the best Johnny Cash tribute acts is San Diego-based Cash'd Out. They play Mississippi Studios, 3939 N. Mississippi Ave., 8 p.m. Saturday, Jan. 27. Tickets: $16.50, $20 day of show, www.mississippistudios.com. • The 30th annual Winterfolk is a benefit for Sisters of the Road and takes places at 7 p.m. Saturday, Jan. 27, at the Alberta Rose Theatre, 3000 N.E. Alberta St. Tracy Grammer and other folk singer-songwriters perform. Tickets: $30, $32 day of show, www.albertarosetheatre.com. 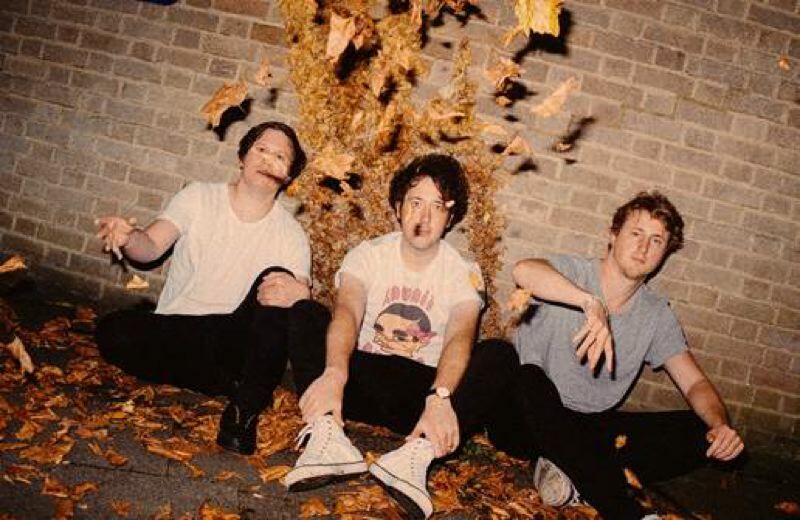 • Liverpool trio The Wombats, whose fourth album "Beautiful People Will Ruin Your Life" comes out Feb. 9, plays the Wonder Ballroom, 128 N.E. Russell St., 7 p.m. Monday, Jan. 29. Tickets: $20-$23, www.wonderballroom.com. They're touring with Weezer and The Pixies this summer. • One of Canada's finest performers, Bruce Cockburn plays two shows at the Aladdin Theater, 3017 S.E. Milwaukie Ave., 8 p.m. Tuesday-Wednesday, Jan. 30-31. Tickets: $35, $40 day of show, www.aladdin-theater.com. • Tickets are on sale or will be soon for Kendrick Lamar at Sunlight Supply Amphitheater in Ridgefield, Washington, May 6; Steely Dan and The Doobie Brothers at Moda Center, June 4; Dead & Company at Autzen Stadium in Eugene, June 30; Daryl Hall & John Oates and Train at Moda Center, Aug. 9; Jack White at Veterans Memorial Coliseum, Aug. 11; Dave Matthews at Gorge Amphitheatre in George, Washington, on Aug. 31-Sept. 2.; Def Leppard, joined by Journey at Moda Center, Sept. 28. Check websites.